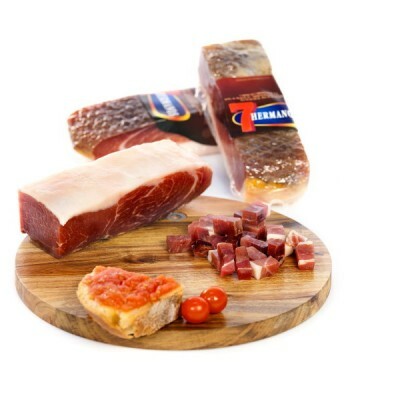 – Selected ham from Iberian pork salted, dried and cured in our chambers in a traditional way. 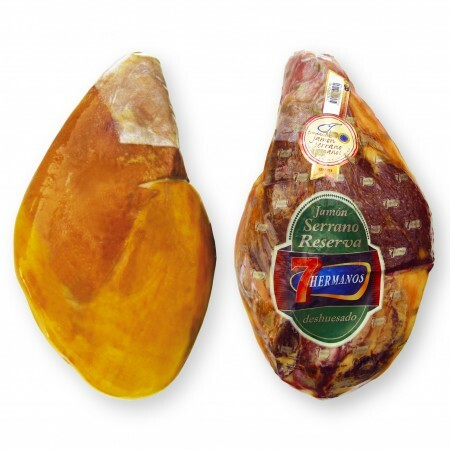 – Intense red colour for this delicious meat with white peripheral fat. Sweet aroma and intense flavour. – Attractive presentation and easy to use. 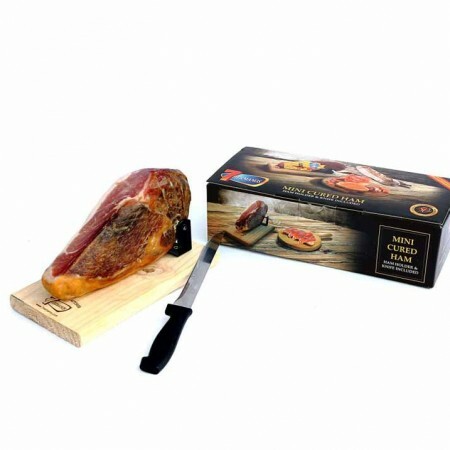 Perfect to slice or make small chunks at home.